"Where do I start?" is the most common question we’ve received. I understand that this website having large amount of research and educational materials can be both exciting and overwhelming at the same time. 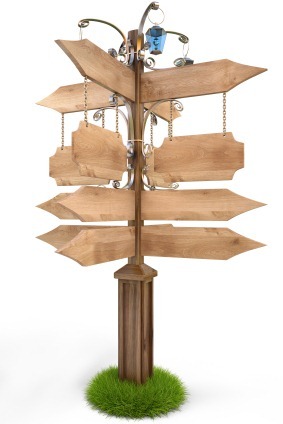 I am suggesting the following route to explore the content available. First thing first, this website is not a structured course environment. It is meant to be a place for traders to meet, to learn and to share. The most important thing is to make the knowledge available here part of yours. If you find something in the site grab your attention and it helps you improve your trading. It is mission accomplished for me. Why Trading Skill is the 21st Century Survival Skill? You do not need to read all 3 of them. Depending on the markets you are interested in, just read the one you need. There is also no need to buy them from Amazon (which the links above will take you to). Find the books from library, pick them up from some 2nd hand bookstore, or even borrow that from a friend will do. No need to spend money when you are not even ready to trade. I have several lists of recommended books for traders, their links are in the review section. It is a good idea to read well written trading books to open yourself to new ideas. The goal is to pick up something useful. Just one or two ideas you picked up from a good trading book that improve your trading skill will be well worth the time you spent. Once you learn the basics on trading and daytrading you can move on to the next step. As a beginning in trading / daytrading, you have acquired the basics necessary to operate your trading account. You may not be proficient with the tools you are using and your trading skill is still very green. It is a good idea at this point to learn from more experienced traders on how to tackle the markets. For both swing trading and day trading, it is always a good idea to do your homework and have a mental roadmap on what to expect from the markets you trade on the following week. My free weekly outlook would be a good place to start. 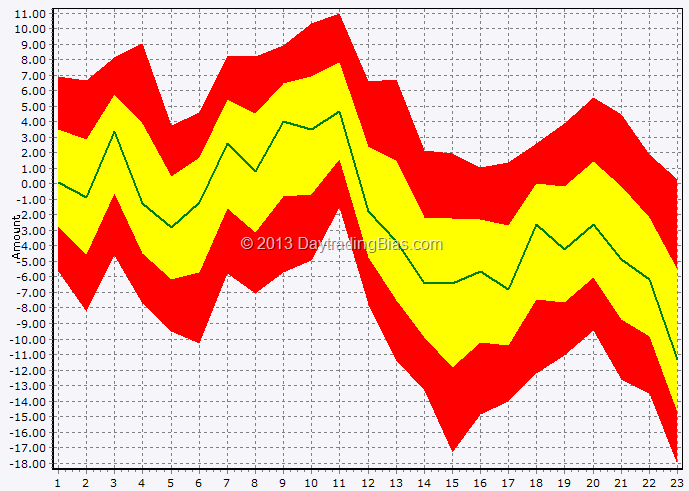 I also post charts with comments from time to time in my Daily Commentaries and Blog. You can learn from the analysis and compare that to your own. At the side, while you are observing the markets, I would suggest that you read my free ebook Know Your Odds Before You Trade and build up yourself mentally with the correct mindset in dealing with both market fluctuations and the swing in your account equity. When you have time to observe the markets in action during trading hours, you can join my real-time chatroom (free, members-only) and read the comments made by participating members. Whenever I am monitoring the markets at my trading desk, I would type out my observations. You will learn a lot from the process. You will find that I often talk about chart patterns and chart context. Since 90% of the information outside of the historical prices of any market you trade is not reliable, you have to learn to trade with proper chart reading skill. I have made my ebook Art of Chart Reading mostly available online. It contains enough introductory materials to put you on the right foot in understanding the charts. If you want to study my observations made on the markets over the past few years, I have made the real-time chat transcript together with reference chart for each trading day available to premium members. Free member have access up to 2 weeks of the archive. The problem with rookie traders often comes from outside of trading. It is not something where a single solution would solve the issue for all the traders. Not even a profitable strategy would do the job. At this point, it is important to learn the importance of money management as more money is going to be committed into trading. It is time to read my online ebook Defensive Money Management Explained. Trading at this stage for most rookies is pretty much western gunslinger style – you probably pull the trigger without really knowing what exactly you are supposed to do. It is the time for you to develop your trading style. My series of articles, Essence of Trading, focus on the subject of trading itself and what it takes to be a better trader. It will raise questions in your mind and help you shape your strategy going forward. For example, one of the most fundamental issues of all to all newcomers is that trading may not be your best career choice. Another aspect in trading that I cannot emphasize enough is the importance of having a good trading plan. At Babypips.com, they have an excellent introduction to trading plan development. Read it, learn it and start writing your own trading plan. Experienced traders may not necessarily want to commit a lot of time into trading. For those who want professional quality timing signals, the premium members’ S&P Trading Signals and Forex Trading Signals provide mechanical biases and signals where the traders can use to make informed decisions. Free signals on some of the basic trading models published here are also available from the signal pages. All you need is to sign up as a basic member (free) to gain access to the daily updates. Our monthly newsletter Market Bias Observer that comes with the premium membership is my take on the major markets around the world with focus on S&P 500, Euro Dollar and Gold. From time to time I would provide additional special updates when I spot good trading opportunities where my proprietary trading models have lined up favourably. Just one or two of the trading ideas in MBO would have made you many times the membership cost for the whole year. The Market Bias Informant – Daily Cheatsheet provides several special reports using non-correlated analysis methods to create a well-rounded view of the current market condition. The premium reports give the traders objective analysis to compliment their own chart reading. When the various reports align for a particular market, you can project with confidence where the market is likely heading and how it is going to get there. For those who want to develop their own trading styles and improve their trading performance, if you are willing to commit the time necessary, get ready to read, verify and integrate the research materials I have published here. I have organized the articles into various categories where you can find them in the research home page. Member-only articles often contain specific statistical biases that I will organize into ebooks in the future. Premium member only articles contain day trading models or strong intraday biases that I will likely automate into the signal pages. In general, the more specific an article is, the more likely I get many questions to answer. I like to answer as many questions as I can but seriously it is taking up my time. Enforcing member-only and premium member only content makes it possible for me to keep a personal touch on the website. Professional traders coming from various background will find the Daily Cheatsheets in Market Bias Informant and the daily signals / biases updates mentioned above being the most useful trading tools they can lean on everyday. By having these quick references on hand, the traders no longer need to spend time conducting the specific analysis themselves. Time can be better spent on formulating the battle plan for the next trading day. Professional traders who conduct their own research often spend many hours to study the behaviour of the markets. My premium research articles provide new ideas and trading model prototypes that these pro traders can use in their own work. It is a great way to improve productivity. I welcome communications with other pro traders who like to share their work with me. It is how we all learn to become better traders. I have compiled several reports under the name Market Bias Detective at the ebook store here. These research reports present specific statistical bias on specific markets. The information provided in the reports can to learned quickly and integrate into your own trading. For those who already have a solid foundation in trading and would like to learn more about Market Breadth Analysis, my series Market Breadth Primer is probably something useful for you. Another series I am working is Trading With Tick Index. This series discuss various aspects of the famous daytrading tool, Tick Index. 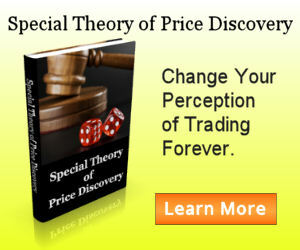 My work on price discover mechanism is summarized in my ebook Special Theory on Price Discovery (STOPD). It is a different kind of trading book which focuses on the structural behaviour in a market and how that can affect the price discovery process. The theory is the foundation of the framework I use on all my trading methods. Retail traders who are interested in day trading without prior professional trading experience are putting themselves into a situation with little or no chance of success. I am not going to waste my time to even encourage you to give it a try because you think you have what it takes. You should read my ebook Is Day Trading For You to get a better idea where you stand and how much time it is really going to take for you to train yourself into a profitable retail day trader. For the forex and emini markets, I have developed a set of tools for real-time trading. The real-time price levels tool provides a overview of the more important price levels to focus on. The real-time biases and signals tool provides mechanical real-time biases and trading signals so that you know exactly what you are dealing with in real-time. As a summary, they are automation of my trading routines that helps me stay on the right side of the market. For beginners and struggling traders, they can use the premium reports and the real-time tools to help them develop the necessary self-discipline to follow objective analysis. The process takes time and varies from person to person. As a rule of thumb, the more effort a trader put into learning the statistical biases and purging out the erratic thoughts from the mind, the more likely the trader will shorten the time it takes to day trade successfully. As I receive more requests and through discussions with members, I will gain new insights on what is useful to our members here. That means the services offered on this website will evolve over time. Hence I expect I will have to revise this guide from time to time to reflect the changes. Feel free to contact me if you think I missed anything.